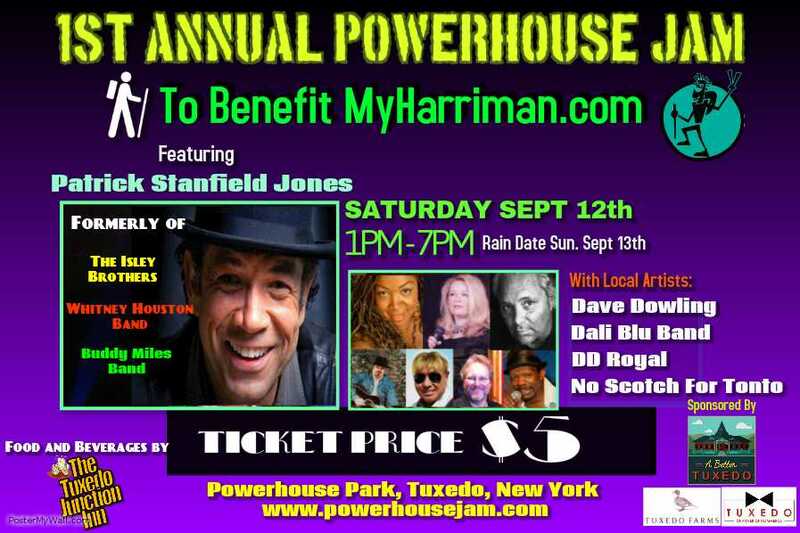 Town Board Member Dave McMillen has organized the 1st Annual Powerhouse Jam, which is set for Saturday, September 12th. 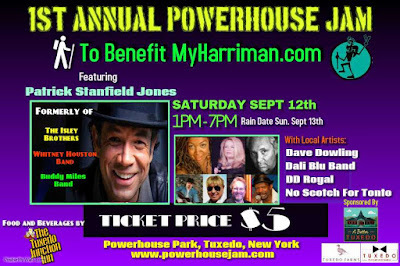 The event features performances by Patrick Stanfield Jones, who played with the Isley Brothers, Whitney Houston, and Buddy Miles, as well as Dave Dowling, Dali Blu Band, DD Royal, and No Scotch for Tonto. A full lineup for the event can be found here. Tickets are only $5 and proceeds from the event go to assist MyHarriman.com, a website dedicated to discovering and connecting visitors and residents with Harriman State Park. MyHarriman.com has been working with A Better Tuxedo, the Tuxedo Chamber of Commerce, and Tuxedo Farms to bring new energy to Tuxedo. Food and beverage is coming from the Tuxedo Junction Inn. Check out PowerHouseJam.com for more information.